Manufacturer of a wide range of products which include forged components and rocker lever. 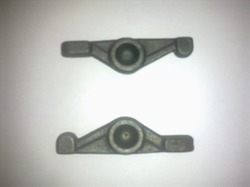 We are indulged in manufacturing and supplying Forged Components to our clients. These forgings find wide application in various industries such as automobile and others. Developed using modern technologies, the forged products are available in various profiles like the varieties of carbon steel, alloy steel, stainless steel, etc. Our quality experts carry out strict quality check to ensure the functioning and performance of the product in compliance of set industry standards. 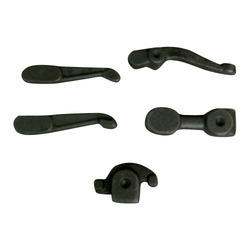 We are one of the leadings firms offering Rocker Lever. These rocker lever components are reciprocating levers that convey radial movement from the cam lobe into linear movement at the poppet valve to open it. We can provide custom made solutions for our range as per the demands of customers. We offer them in market leading prices to our clients in order to meet the demands. Our quality experts carry out strict quality check to ensure the functioning and performance of the product in compliance of set industry standards.